Tradition: The handing down of statements, beliefs, legends, customs, information, etc. from generation to generation, especially by word of mouth or by practice. 2016 is upon us! A new year, a fresh start, a time to begin again. Holidays are times of the year that we cherish with our families and loved ones. A time when we gather together and reflect on the year behind us and dream of the year ahead. Throughout the year we experience many ups and downs but at the end of that time what we remember the most are the memories we've made and traditions that we share. 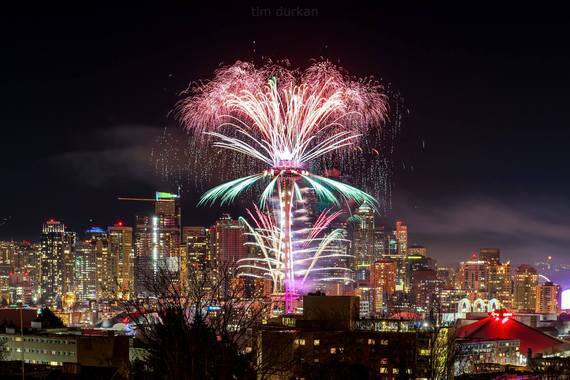 The Seattle Space Needle hosts one of world's most beautiful and largest fireworks displays. Located in Seattle, Washington the eight-minute extravaganza is set to music and attended by 20,000 viewers with an estimated 400,000 viewing from around the city at numerous vantage points. Widely covered by our local West Coast news stations the Space Needle Fireworks become a backdrop and part of the party when viewed in our homes while the neighborhood fireworks pop and sparkle. On January 1st of each New Year 700,000 attendees ascend on Pasadena, California for the annual Rose Parade. The rest of us on the West Coast watch this live event on television in the comfort of our living rooms while having breakfast and chatting about last nights' events as we look at the unique flower covered floats, spirited marching band and high-stepping equestrians winding their way through the streets. This year marked the Rose Bowl Parade's 127th year that featured a "Find Your Adventure" theme. 935 volunteers combined their efforts for 80,000 hours of preparation to set-up for this beautiful event. The go-to song on every English-speaking country's playlist at the stroke of midnight is "Auld Lang Syne," to bring in the New Year. At least partially written by Robert Burns in the 1700's, it was first published in 1796 after Burns' death. Early variations of the song were sung prior to 1700 and inspired Burns to produce the modern rendition. An old Scottish tune, "Auld Lang Syne" literally means "old time ago," or simply, "the good old days." Polar Bear Plunges, as they are commonly called, are held on New Years Day. They are for the thousands of chill seekers among us. For those who flock to chillier environments near the water in Canada, the United States, the Netherlands and the United Kingdom this water ritual of the New Year represents a festival of rebirth and reflection. 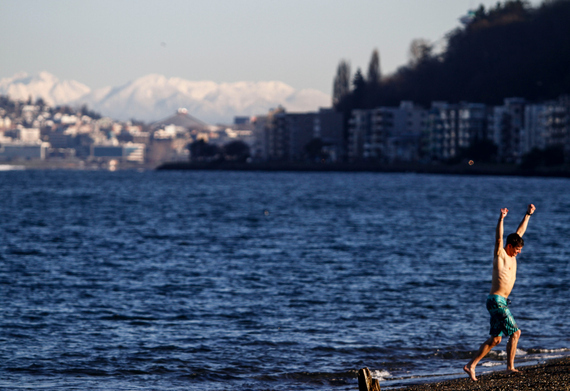 The plunges often raise money for charities or awareness for a cause. The Resolution is a personal and meaningful final tradition of the Old Year that welcomes in the New Year in a positive way. Though, often forgotten after a couple months into the New Year it is worth the time to create a new goal or goals as a promise to one's self to change or enhance an aspect or multiple aspect of our lives. Try it! Have a tradition? Share your own in the comment section below.